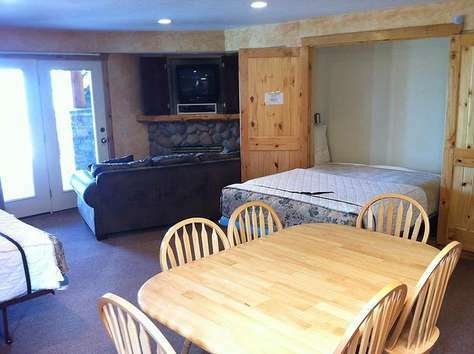 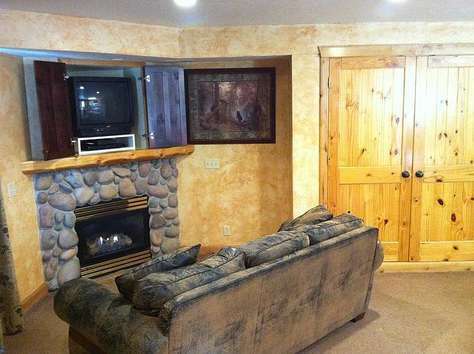 Fully stocked kitchen/living room with gas fireplace and 2 queen murphy beds. 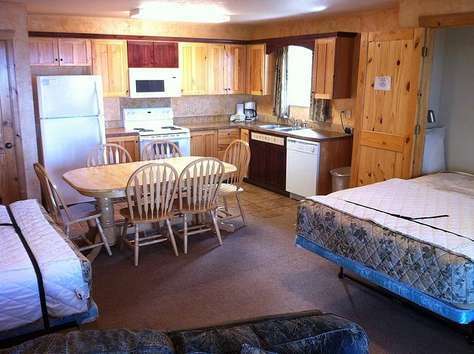 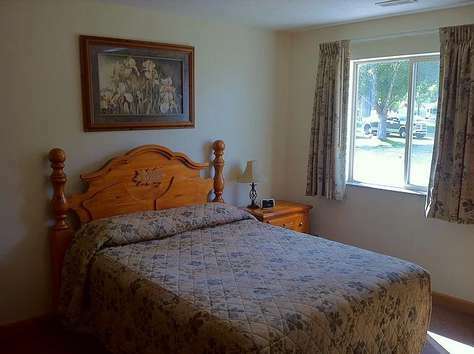 Separate bedroom with 1 queen bed. 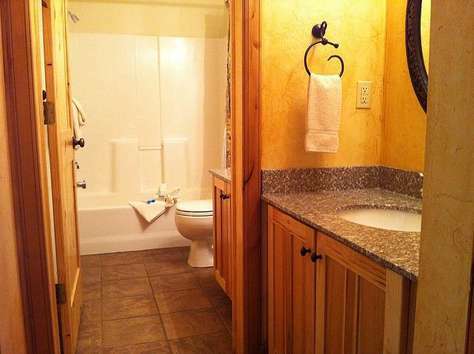 Full bathroom with separate vanity. 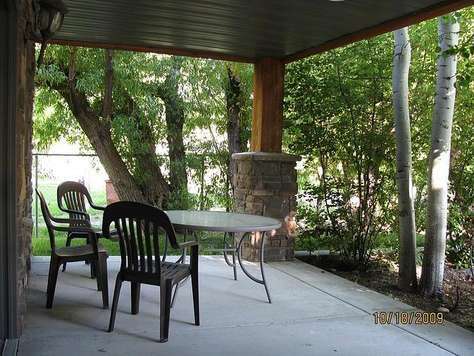 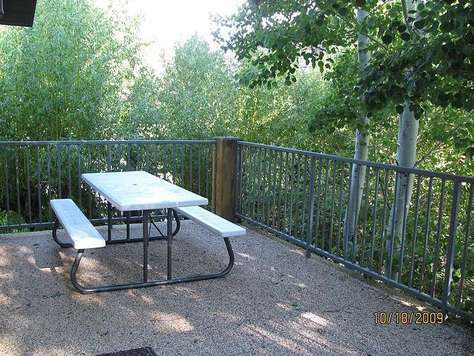 Large patio that overlooks the park grounds.